When people are describing their dream home to us... more often than not... the main features of this home are on the list! Privacy, Quiet, Serene, View, Single Story, Oversized Garage, RV Parking, Tile Roof, Large Formal Dining Room, Large Kitchen, Quality Construction, Space... this has it all. The space comes from the 7.09 acre parcel, planted with over 500 producing Avocados. 1998 crop was 20,900 lb... and over $14,000 income. Three large bedrooms and four elegant bathrooms, all on one level, with 4,126 square feet and views from every room. A person could live in this house without a single window covering... it is totally private. A floor plan designed for entertaining and it is waiting for your first party. If using Netscape, you may see a larger image of any of the photos by "right clicking" on the photo and choosing "view the image". Then hit your "back key" on the browser to return to this page. In the first photo above you get a feel for the privacy and seclusion. Quiet serenity will be the experience. 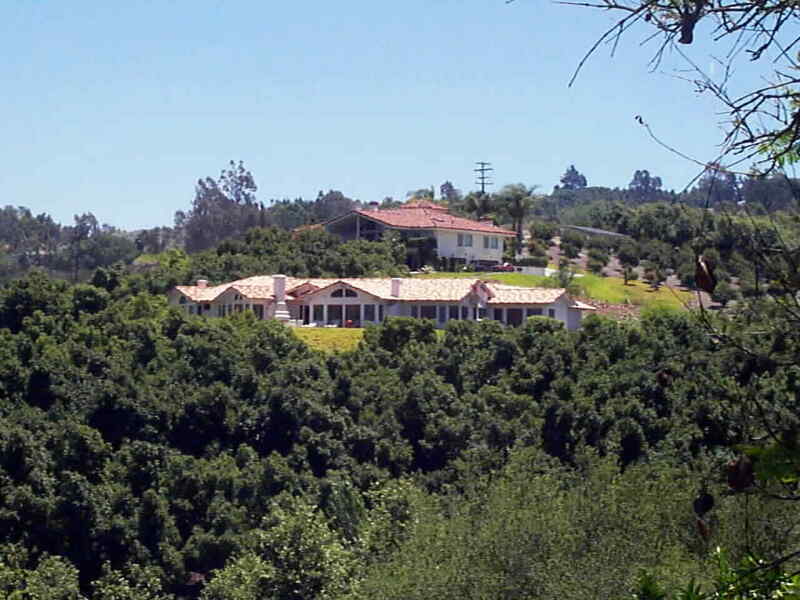 The home, located just North of Fallbrook enjoys an incredible view of the Santa Margarita River Valley, and yet is almost right in town. 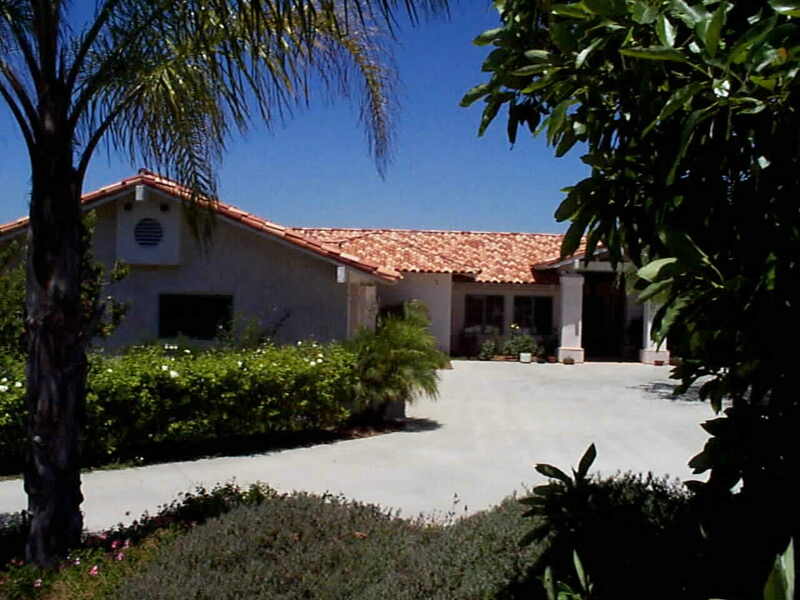 Only minutes to downtown Fallbrook or Interstate 15 and San Diego or Riverside County. The grove (7.09 Acres Total) takes up most of the acreage and provides a green belt all around the home. From the house pad the only relatively close neighbor (up the hill and behind the home in this picture) is shielded by the avocado trees. The back yard and patio shown in this picture are totally private. The pad was designed for a pool addition, and space abounds should you want tennis courts as well. The second photo above just starts to capture the casual elegance that this home affords. Arched doorways, Sautillo tile, fired southwestern sconce lighting, accent lighted shadow boxes for sculpture and flowers, high vaulted open beam ceilings and wide halls and pass through's all work together to create the experience of spaciousness and serene elegance. 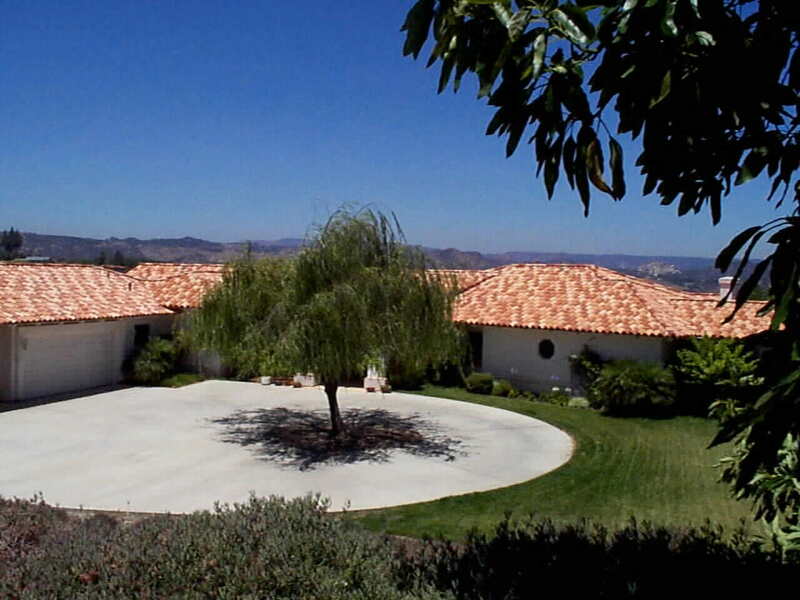 From the circular drive and beautiful covered entry, pass through the wide double Luan Mahogany front doors and in front of you, everywhere you look, is un-obstructed mountain vistas and the panoramic Santa Margarita river valley. The design of the floor plan and the location of the pad work to provide views from every room, and yet there is total privacy. The first Image above is a representation of the shape of the 7.09 Acre parcel. This Image comes from SANGIS.ORGa tremendous internet site that has public access to geographical information. At this site if you want to check it out... choose "interactive maps" then "Query by Parcel Number". As you can see by the image, the parcel number is 1050204900. 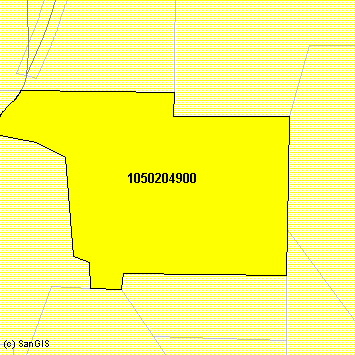 This internet site will only work on San Diego County Parcel Numbers. The house pad is in the Southwest corner of the parcel and the Grove covers the balance of the acreage. The grove has been professionally managed (the seller does not work in the grove at all), and the trees (Haas) are in excellent condition. In 1995 the avocados sold totaled 7,155 lb.. for the year. This figure has increased every year since and in 1998, 20,900 lb. of avocados were sold out of this grove. Proceeds will vary due to market... but, after paying management the 1998 check was $14,624. Add to this the tax treatment for depreciation and operating expenses... and it's very clear why so many hillsides in North San Diego County are covered with groves. This home truly has an excellent grove. This home is an entertainer's delight. 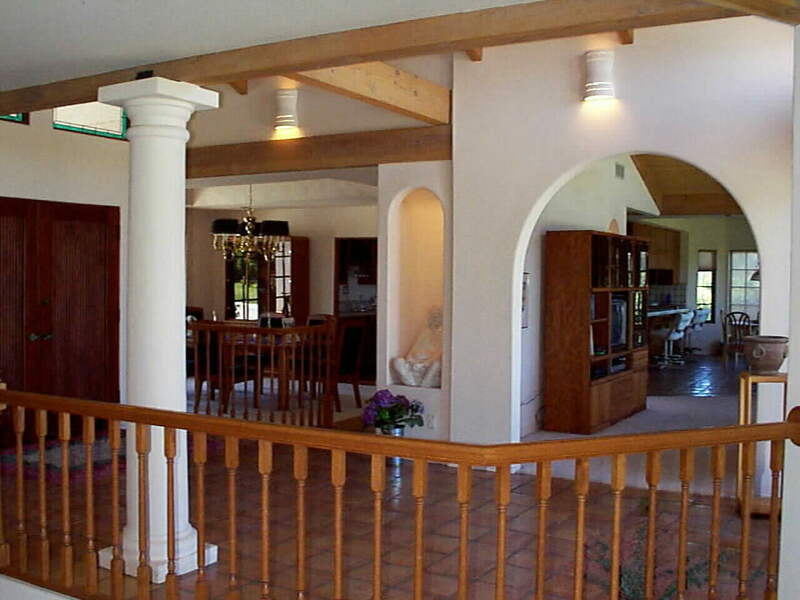 The Sautillo tiled patio above, opens off of the entry foyer, and the great room as well as the breakfast nook. 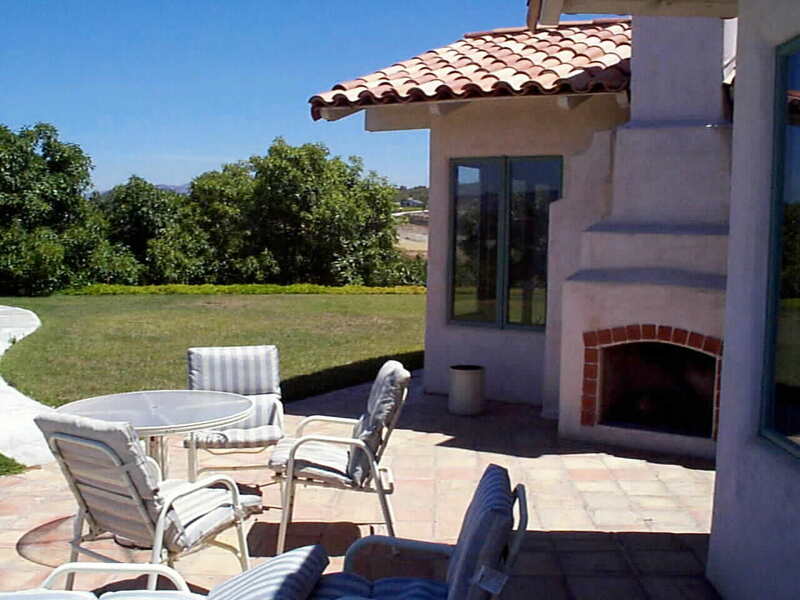 It enjoys it's own fireplace and an absolutely incredible private panoramic view of the Santa Margarita river valley. From the Master bedroom, music room, guest suite, great room, entry foyer, breakfast nook and second family room... from all of these there is access to this patio through beautiful wooden french doors. On the second page of this property you will find more photos as well as more details about the interior of the home.